Growing up, Lisa McCarthy lived a life of ongoing adversity. Born into a dysfunctional family, she was misdiagnosed and then badly injured in a childhood accident where she was badly burned. At 13, she ran away and ended up in foster homes. After 13 foster homes, she went home, finished high school and then went back out on her own. Lisa became a Mom at 20, and fortunately had some help from a foster family and friends. Gaining steady employment was insane. One boss threatened to blow off her head for not sleeping with him. Another fired her for having a child. Another would throw the keyboard or phone when things didn’t go right. Her last “real” job fired her for having interest in becoming an entrepreneur. Lisa decided it was time to explore who she was and started attending self-development seminars and learning. While attending one of the events, they kept talking about doing affirmations and reading a paragraph and keeping eye contact. She hired Stewart Borie, who used to run many of the high level One Coach programs for John Assaraf from the Movie “The Secret”. He was someone who really showed up for her, guiding and mentoring her to a clarity point that allowed her to start to build the Affirmations Mirror. It is a talking mirror that allowed her to start filling her mind with powerful thoughts that she could record into the Affirmations Mirror to listen to whenever she needed to hear a positive thought to remind herself that she was strong, powerful and capable. She built what she needed and wanted to once again contribute to people that she would never meet by providing this powerful tool. She went out and got great endorsements from people like Bob Proctor, JJ Virgin, Les Brown, Forbes Riley, Mary Morrissey and many others. Funding was challenging – she even risked her house to keep going for the dream. She lives in an apartment now and is still pursing her dreams for not only the Affirmations Mirror, but also a toy line that teaches children through play using all of their learning styles. Lisa also found along the way that there were many others were trying to do good, but were getting taken advantage of, so she started offering mindmapping and flow charting to help them gain the clarity they needed to make their dreams true too. She titled it MakeMyIdeaReal.com since that is really what we all want. 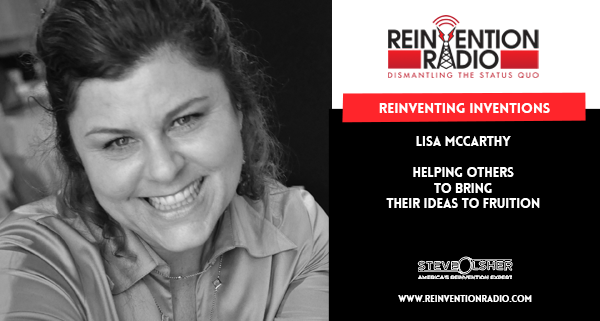 TUNE IN to this episode as Lisa chats with Steve, Mary and Richard about reinventing inventions and helping others to bring their ideas to fruition. The New Media Summit is happening April 12 – 14, 2018 in San Diego, CA! Just make the ask — and stalking works! Reinventing Super Powers – In this episode, Tonya Dawn Recla chats with Steve, Mary and Richard about how she transformed from a life in counter intelligence to finding her super powers that now help others to find theirs.